(6) pieces 6 Made of mango tree hardwood these elegant door wedges are a perfect alternative from those cheap industrial rubber wedges. 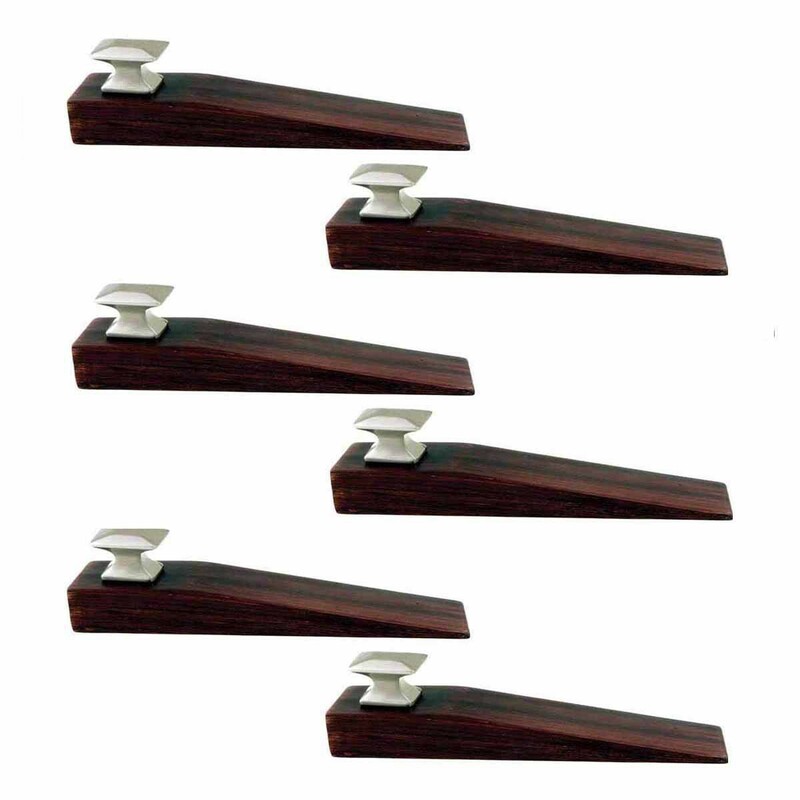 These wedges are designed for homes & businesses with a sense of style & practicality. Select from an assortment of stains & finishes. This wedge is adorned with a solid brass mission style knob with a satin nickel finish.